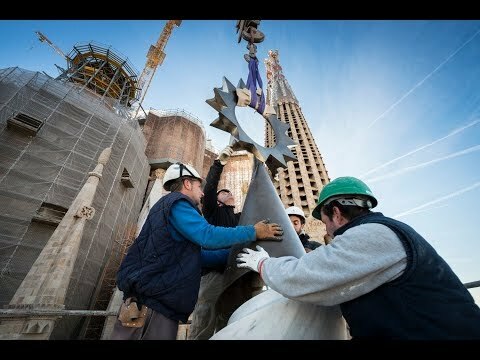 Last summer, we officially completed the Passion façade, putting the final piece in place on the sculpture group of the Cross of Glory. 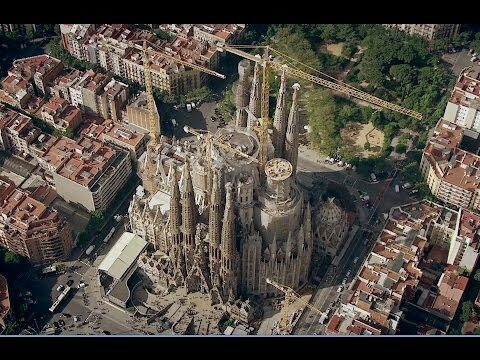 And with this historical milestone, we’ve decided to look back on the key moments of a façade that covers the period from death to resurrection, and that Gaudí designed just after an illness that put him at the door of that fateful moment. We know he did several drawings, as photos of his workshop show more than one. Of these, only two have survived, dated 1892 and 1911: the first he used to study the loads and design the inclination of the columns and the full iconography; in the second, he looked in more detail at the overall appearance of the façade. After 1917, he completed this second plan with a drawing to one side of a monument dedicated to Bishop Torras i Bages, his personal friend. Gaudí wanted construction of the Temple to begin with the Nativity façade, the façade expressing the joy of the Birth, in order to attract attention and donations for the works. 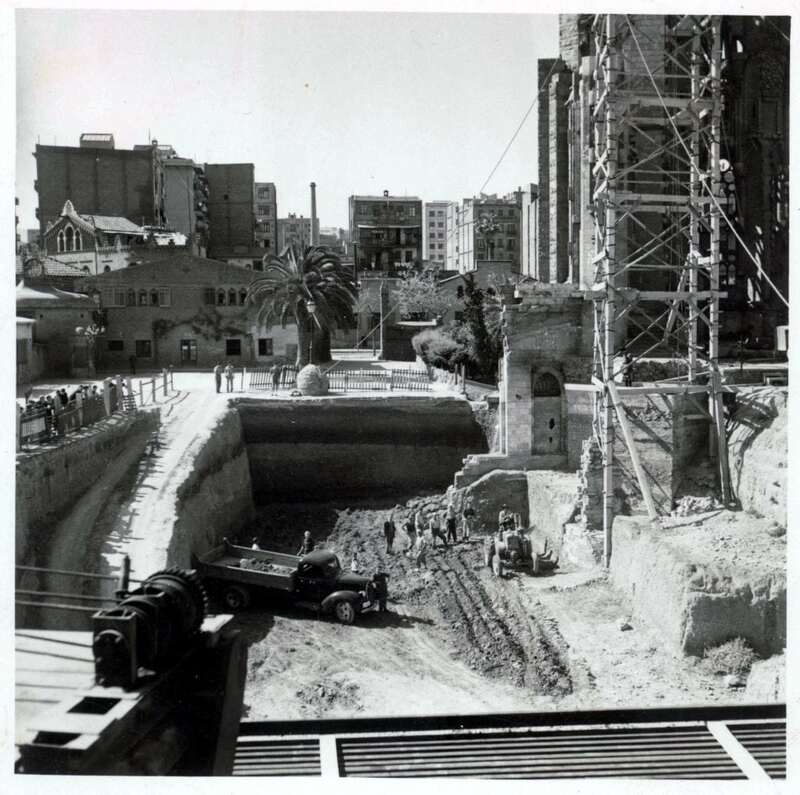 So, it wasn’t until 1954 when, under Head Architect Francesc Quintana (1939-1966), the foundations were dug for the Passion façade and filled with concrete reinforced with old rails donated by Renfe, the Spanish railway company. 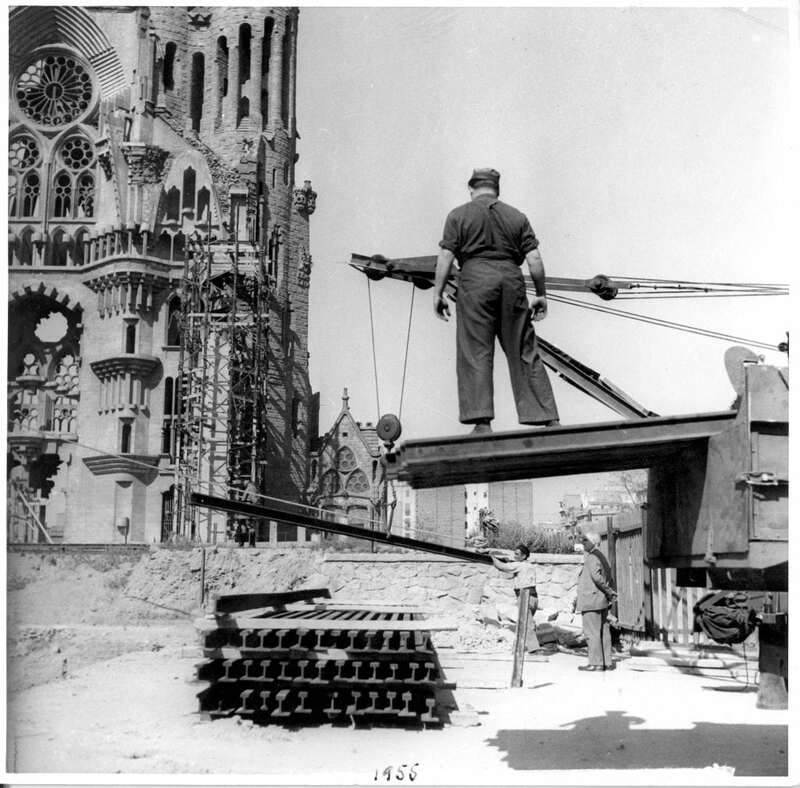 After the post-war economy had rebounded, work began to raise the four towers, led by Isidre Puig Boada, who was head architect through 1974. From 1971, he shared this position with Lluís Bonet Garí. Both had known Gaudí personally and learned from him directly. 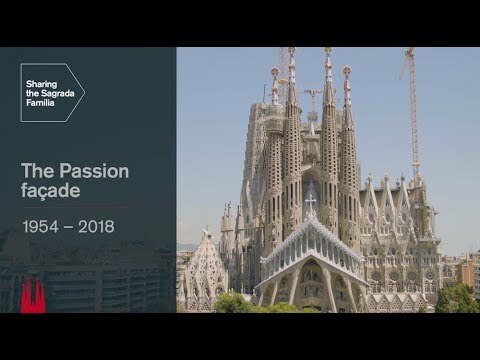 Although the architectural work on the Passion façade was completed just two decades after beginning construction, the sculptural and symbolic aspects were yet to be finished. 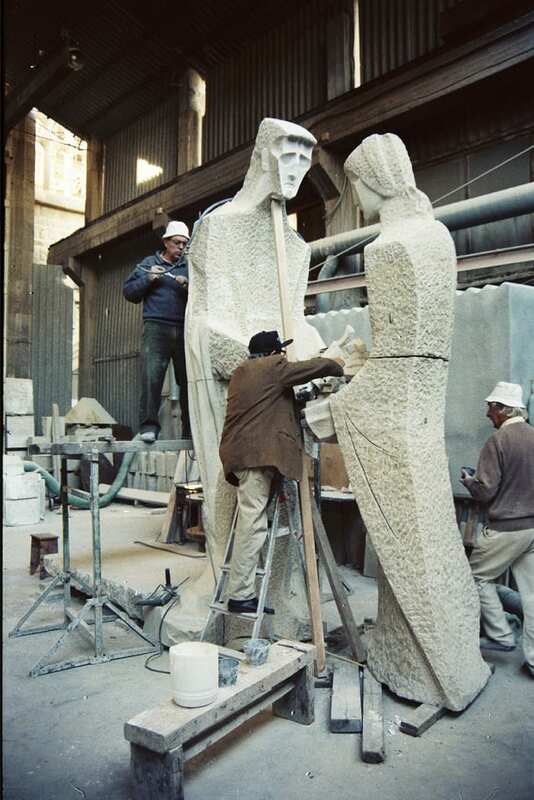 And in this regard, there is one key name: sculptor Josep Maria Subirachs, who was proposed in 1986 by then head architect Jordi Bonet i Armengol. Subirachs, already a renowned sculptor, estructured the scenes chronologically, organising them according to the via crucis. Subirachs went to live at the Temple, as he wanted to be fully submerged in the works in order to completely soak up the inspirational spirit, just as Gaudí had done. After a year and a half, in 1987 his first sculpture was put in place on the façade: the Flagellation. From this point, more of his sculptures were put in place year after year. 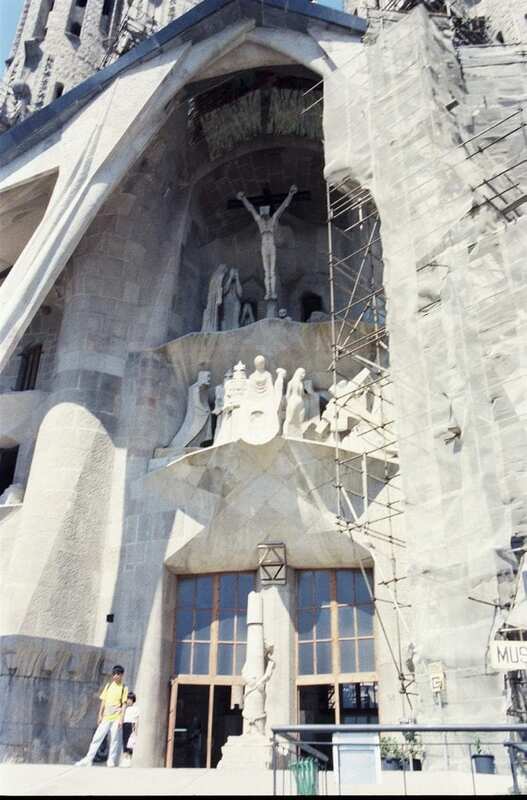 However, his modern, ground-breaking style wasn’t welcomed warmly by part of local society and was harshly criticised by those who had not understood Gaudí when he said he wanted this façade to express the total opposite of the Nativity façade, and to be scary. “It is all sharp, extremely simple geometrical shapes, bare of any ornamentation, only stillness and structure. We feel the desolation, the suspension of life and the disruption of nature that accompanied the divine tragedy,” he said. Subirachs’ own natural style perfectly reflected all of this. 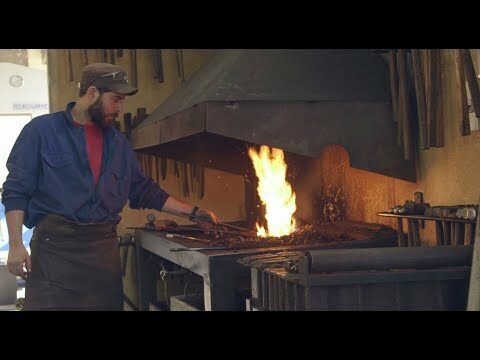 In addition to the sculptural part, Subirachs was also commissioned to create the bronze doors, which were integrated into the chronological discourse of the via crucis. The central doors, of the Gospels, were the last to be put in place, in 2000, and helped consolidate favourable views of his great work. The final sculpture by Subirachs to be put in place, in 2005, was the great resurrected Christ, also done in bronze but covered in gold leaf, hanging from the bridge between the two central bell towers. In 2001, construction on the façade moved forward, enclosing the central bell towers, building the window of the resurrection and putting in the great elliptical rose window. Between 2014 and 2016, the eighteen columns on the upper narthex were completed. However, the sculpture groups that crown the pediment had yet to go in: the lion of Judah and the lamb of Abraham, on either side, and in the centre, the Cross of Glory with its angels, all by sculptor Lau Feliu. Plus, the Empty Tomb scene still had to go in inside the upper narthex, with the three Marys and the angel. This group was created by architect and sculptor Francesc Fajula, who was also responsible for the Christ that hangs over the main altar at the Temple. All of these pieces have gone in over the past year, coinciding with the first year of this blog, and we have been able to share detailed updates here. With these finishing touches, although there will of course be restorations needed as with any heritage work of this type, after 64 years we can now say that the Passion façade is totally finished.